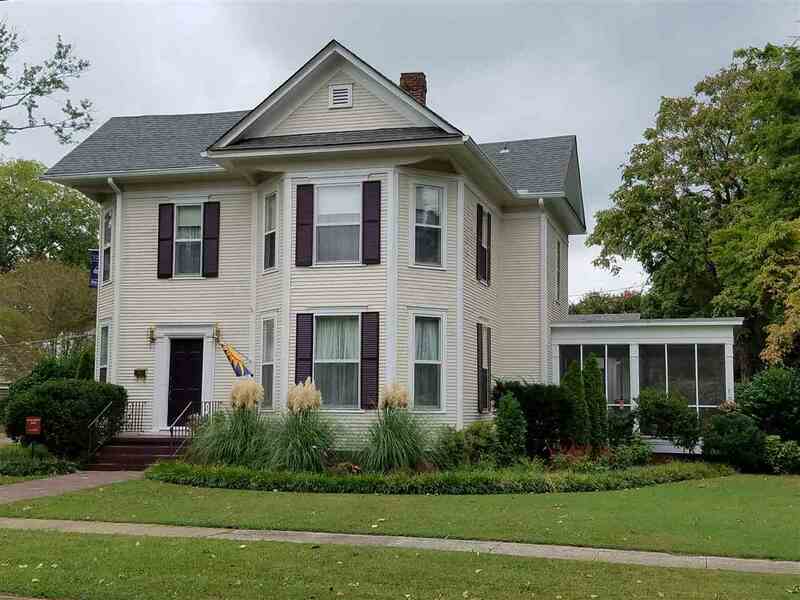 This beautifully restored Historical Home was erected circa 1899 for Nannie Simmons. It was the second home built on peaceful Beaty Street across from the restored Robert Beaty mansion. A secluded back yard & garden includes a BBQ area & mature landscaping. With the historic period in mind, the Kitchen has been completely remodeled--Hooded 6-burner gas range, island w/granite countertops & access to backyard & large screened-in porch that is ideal for early-morning coffee and entertaining. Updated Roof, on-demand gas water heater, 2-zone HVAC, & recent exterior/interior paint. 1st-level Master Suite w/lg WIC & large bath. 2nd-level, 2nd Master Suite w/full bath, & additional BR/Study.